If your guitar is in desperate need of a tune up or you have recently bought a second hand guitar, most likely it has never had any maintenance done to it. This is very common as many people do not know how and when they see the high price of getting it professionally done, they just forget about it. One thing that can really improve the play-ability and tone of a guitar is to polish and clean up the guitar frets. 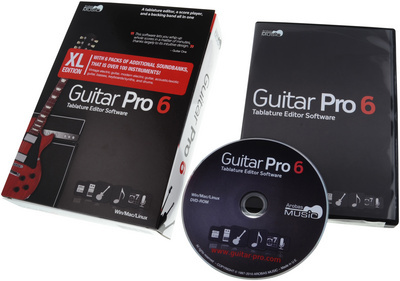 Read this article to learn how to polish guitar frets easily and at a very low cost. Best of all you don’t even need to remove the strings (although it can make it a faster process). If you notice guitar rust on the frets, pickups, or even on the screws, it could be a good idea to give it some love and polish it up. There are many great methods which you can try including using steel wool for guitar frets. This involves sanding guitar frets with steel wool and essentially scraping off any rust on the frets. One thing to watch out for is the pickups which will attract a lot of the shavings and this can cause a lot of issues if you don’t sort it out. Another method that is quite common is to use salt and lemon. The salt and lemon juice is great for polishing the frets, my only problem with it is I don’t particularly like having a lemon scented guitar after cleaning. With the method listed below you can also use lemon juice and salt if you like, it may not work as well but it will do quite a good job polishing the fretboard. Masking tape or painters tape. Do not use anything really sticky because this can damage the fretboard, we are only after a light tape to cover the wood and anything we are not polishing. You can pick some up for around $2 at any hardware store. 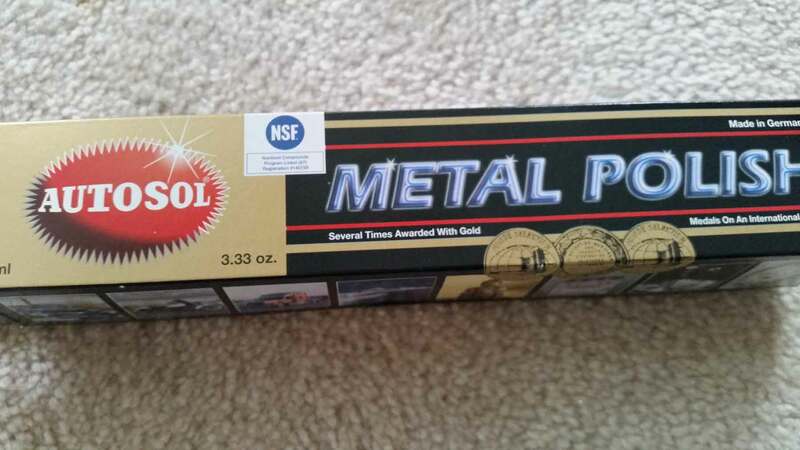 Metal Polish. My local guitar store uses Auto-Sol (which is basically a metal polish branded for cars and bikes etc). They told me that they had used it on hundreds of guitars and never had a problem so I decided to go with it. I just went to my local auto store and they had it there. An old rag – preferably clean. 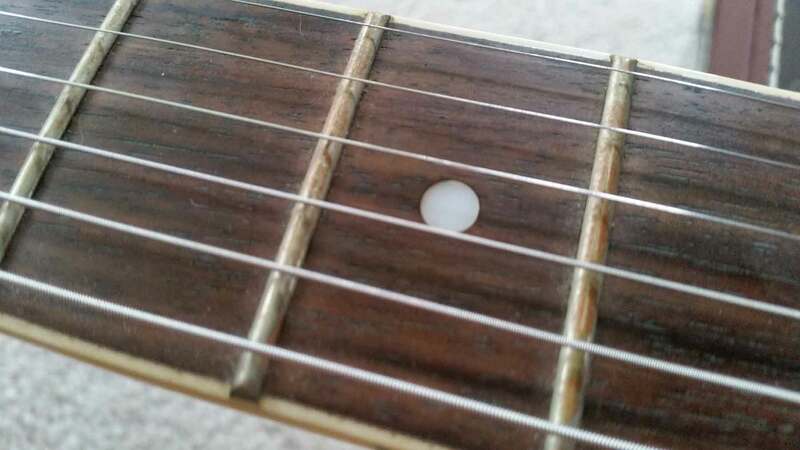 As stated before, there is no need to remove the strings but if you are planning on replacing them anyway, it can make it quicker to do this when the strings are off – especially when learning how to polish guitar frets or trying it the first time. If you already have strings on, all you need to do is de-tune and loosen them quite a lot until you can easily move the strings away from the fretboard to get access to it. Grab your masking tape and cover up all the wood along the fretboard so that only the guitar frets are visible. 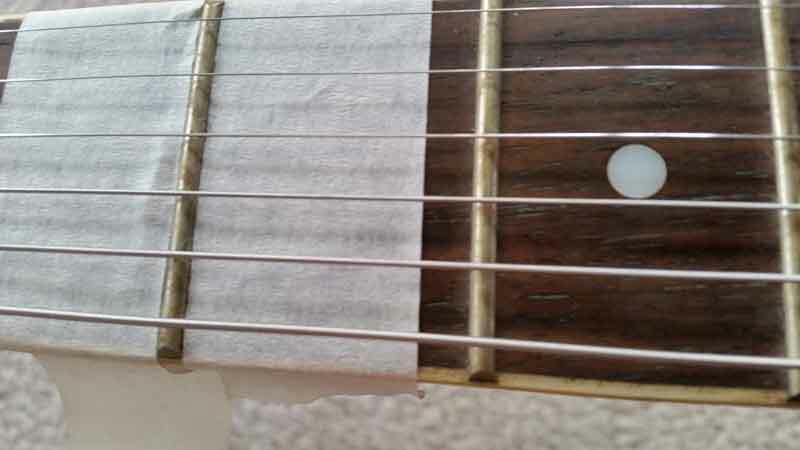 If you have the strings on your guitar, they should be loose enough (providing you did step 01) that you can easily slip a couple of strips of tape under them. To start with you may need two strips of tape per fret up to about the 7th fret, then one will do just fine. As you get higher the tape becomes wider than the frets. 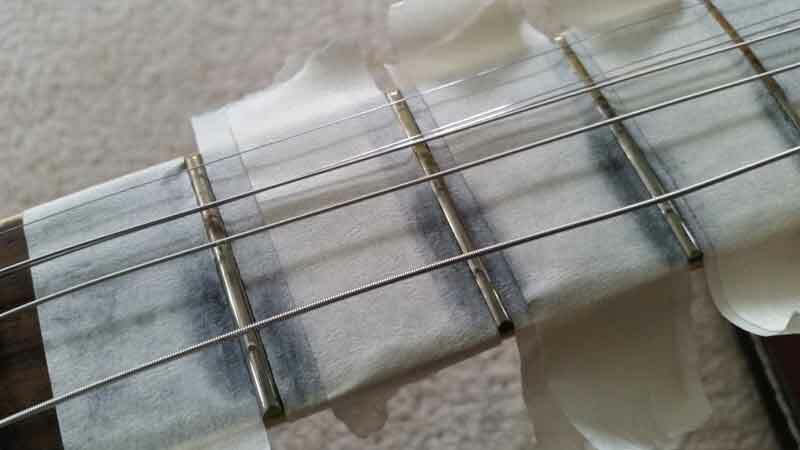 Here is where it might be easier to just use tape either side of one fret, polish that fret, remove the tape, move up to the next fret and continue doing the same until you reach the end. Grab the old rag and put a small dab of polish on it, if you are using Auto-Sol you do not need much at all. Then all you need to do is start polishing each fret one by one. 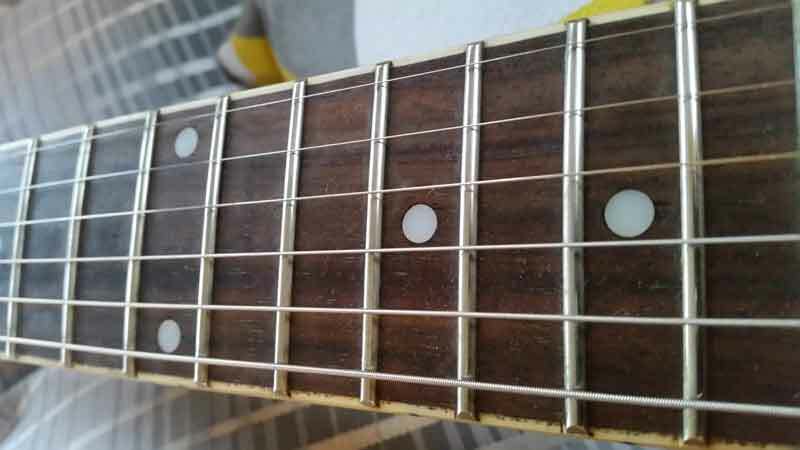 If the strings are on you may want to polish half of each fret while holding the strings out of the way and then go back to do the other half. See the image to compare the difference. You don’t need to put much effort or vigorous hard rubbing into it at all. The frets I polished were in pretty bad shape, they were very rusty and basically orange, but with light rubbing and polishing they came up great. Once done remove the masking tape and give the frets a wipe with a clean rag. You may notice when you next play your guitar that you get black fingertips but this is normal. If it continues just wipe the fretboard down a few more times to get the excess polish off. Next tune up your strings back to pitch or put your new strings on and that’s it. Your fretboard should be looking new and shiny. 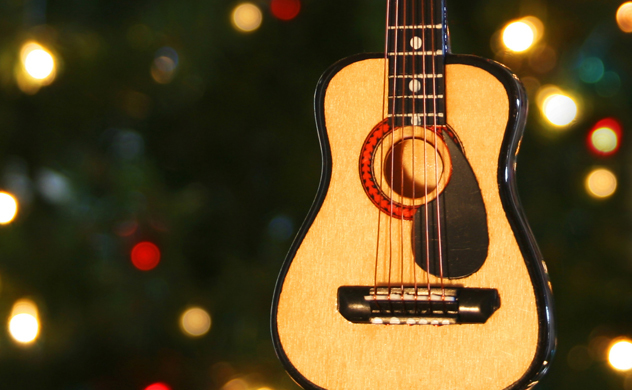 Guitar maintenance is very important and you should regularly check to make sure there are no issues. Now that you know how to polish guitar frets you should try to do it every few months. This will extend the life of the guitar and also keep it sounding and playing great. These steps can also be used to polish rusty guitar pickups and screws, simply mask them up and use the same process. If you have other methods that have worked well for you, share them in the comments section to help other people learn. Hello, i believe that i noticed you visited my website so i got here to “go back the prefer”.I am attempting to in finding issues to improve my web site!I guess its good enough to use a few of your ideas!! Thanks for the suggestions you have contributed here. One more thing I would like to talk about is that computer memory specifications generally go up along with other innovations in the engineering. For instance, as soon as new generations of cpus are made in the market, there is certainly usually an equivalent increase in the type demands of both the personal computer memory as well as hard drive space. This is because software program operated by these processor chips will inevitably increase in power to make use of the new know-how. Hi there! I simply want to give a huge thumbs up for the great information you’ve gotten here on this post. I might be coming back to your weblog for extra soon. When I originally left a comment I appear to have clicked on the -Notify me when new comments are added- checkbox and now every time a comment is added I recieve 4 emails with the exact same comment. There has to be an easy method you are able to remove me from that service? Thank you! Good information. Lucky me I recently found your blog by chance (stumbleupon). I’ve saved as a favorite for later! however good topic. I needs to spend a while finding out more or figuring out more. It’s truly a great and useful piece of information. I am satisfied that you just shared this helpful info with us. Please keep us up to date like this. Thank you for sharing.